Our one-off cleaning service is available for whenever you want, whatever the reason. It may be because you have had a party and need one-off cleaning in SW9 service to tidy up the mess. It could be you just need that house clean that goes beyond the everyday job you would usually get. With our SW2 spring cleaning service provided by fully trained and vetted professional cleaners, then the cleanliness of your home is in good hands. This really is thorough cleaning that's expertly carried out. It's done from room to room, following a checklist and taking care of everything that needs to be scrubbed, washed, polished and vacuumed. By hiring our service, you're making your home as clean as it can be. If that's what you want then you've come to the right place. Another advantage to hiring One-Off Cleaning is that our prices are so low. Cheaper prices mean you can call us up at any time and know that you get great Brixton one-off cleaning that doesn't cost more than you can afford. Our cheaper prices make it even more of a pleasure in hiring us and give you even greater satisfaction. You can talk to us over the phone and ask us any questions you'd like by calling 020 3397 3282 now. Brixton in South London is in the borough of Lambeth and has a long and varied history stretching back a thousand years. It was originally known as Brixistane which in the 11th century meant 'the stone of Brihtsige'. It's an area which remained largely undeveloped until the early nineteenth century. However, the opening of Vauxhall Bridge in 1816 and the arrival of the railways in the 1860's meant that the growth of Brixton accelerated quickly. 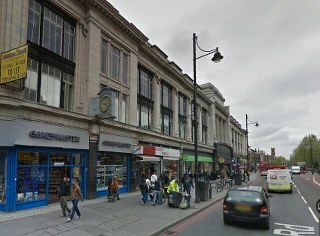 By 1925, it housed the biggest shopping centre in South London as well as cinemas, pubs, theatre and a very popular market. Today Brixton is still a very popular area in general with many people coming to live here who are attracted by the area’s history, culture and facilities. Brixton tube station is the southern terminus of the Victoria Line and Brixton Railway Station has services to London Victoria and Orpington. Brixton is covered by the postcodes SW9 and SW2 with adjacent postcodes being SW8, SW12 and SW4. Neighbouring areas include Clapham, Oval, Streatham Hill, Tulse Hill and Balham. We really do take care of everything when it comes to one-off cleaning in Brixton. Materials, equipment and of course the cleaners themselves are the very best just as you deserve. We tackle every cleaning job that needs to be done in the house with this exceptional service and, most importantly, we tackle that hidden dirt that can be so unhygienic. If you prefer, you can just have one room in your house cleaned. By contacting us and no matter what you want cleaned you will have superior SW2 cleaning at a low price. It's so important to have this kind of service done and because it's done on a one-off basis we make sure it's done correctly. Your bathroom will be sparkling clean, the bedroom delightfully tidy and free of dust, your kitchen appliances cleaned inside and out as well as behind in those awkward places it can take so much time and effort to get to. From the hallway to the living room to every room in your home, One-Off Cleaning gives you the SW9 one-off cleaning you'll be so glad you hired. Let your home be all it can be and as clean as it can be by calling 020 3397 3282 now.